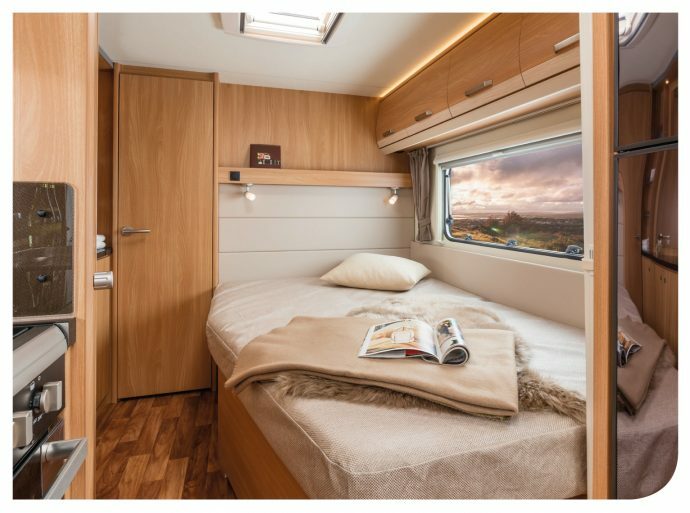 Knaus StarClass – When You Deserve The Best. SPACIOUS AND BEAUTIFUL. Experience the extraordinary feeling of space of the new StarClass. On the whole, its uncountable small details provide for a sophisticated living ambience. Highest quality materials harmonise perfectly with the exclusive upholstery design and spoil you at every one of your travel destinations. It has everything you need, comfort, exclusivity and quality at the highest level. The Pro. Tec-Frame has increased flexibility whilst maintaining and fully protecting the structure of your caravan body and all of your upholstery and fabrics are manufactured using only fire retardant materials. A dedicated leisure battery storage box comes with a lockable mains electric hook up connection. The new StarClass also comes with the added peace of mind that anything labelled ‘Made in Germany’ ensures the StarClass leaves nothing to be desired. PROMISING VIEWS & FEATURES. The distinctive panoramic sunroof creates extra light whilst the three piece front windows offer great views and versatile ventilation. At the same time keep those bugs at bay whilst enjoying the fresh air with door, window and roof light fly screens. In a StarClass kitchen everything on the menu is possible. A Chef’s dream comes true! A large oven, separate grill, 4 burner hob (with 1 electric plate), microwave and even a kitchen sink with built in draining board. After dinning, the free standing table stores away neatly under the bed thereby creating a spacious lounge. If you need the table outside too, its easily accessed via the large exterior access hatch! The bathroom spoils you with lots of storage space and a noble marble look washstand and a big shower. The perfect feel-good bathroom. StarClass runs on a BPW VTec chassis with BPW iDC stability control as standard. BPW are the European market leaders in heavy truck axle design and manufacture. You can rest assured that your StarClass is designed to travel smoothly and safely. Plus a wide range of load carrying capabilities exisit to ensure tailor your StarClass to lifestyle requirements. StarClass also heralds a global launch of all new axle mounted BPW iWD security system which has already achieved a Diamond rating with Sold Secure. 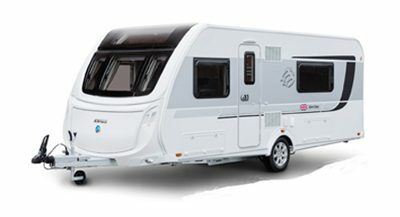 Knaus StarClass– made in Germany.